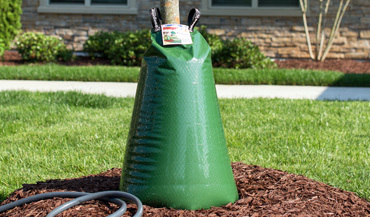 When compared to conventional watering methods, Treegator® Slow Release Watering Bags can save you BIG money in labor costs alone. Treegator® Slow Release Watering Bags are so efficient, that after only about 6 to 7 weeks of use, (or approx. 15 fills ) the bags have more than paid for themselves! MONTHLY LABOR SAVINGS = $23.20 PER TREE! Using these variables, watering 20 trees over a period of four months would save you $1,800 in labor costs! 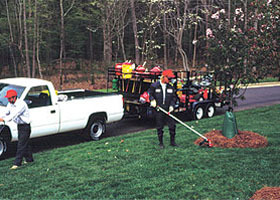 You can use the Treegator® Bags once on a single job, then leave them with the client, or on the job site. Either way, even after subtracting the cost of the 20 bags* you purchased and used, you would still save $1,450... More than enough to cover the cost of another 20 Treegator® Bags for another job, with over $1,000 left in your pocket! Treegator® Slow Release Watering Bags have been the preferred tree watering method of industry professionals worldwide since 1989.